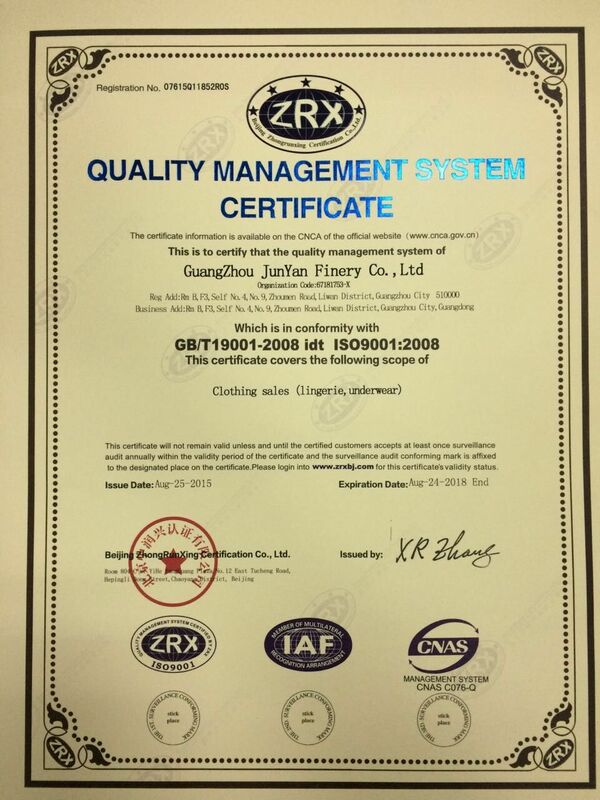 Company Overview - Guangzhou Junyan Finery Co., Ltd.
11YRSGuangzhou Junyan Finery Co., Ltd.
Guangzhou Junyan Garment & Accessory Co., Ltd. was established in 1998 for the garment accessory production. We are mainly focusing on the fashionable and unique of silicone bras, silicone straps, night-suits, and figure-shape underwear. We integrate research, design, and production. Our company has been growing up with tireless efforts over the past ten years, and has developed into a company specializing in the production of this line. Junyan will continue our efforts to insist in taking "prestige first, quality first, and customer first" as the management objective. We take OEM orders, and warmly welcome friends all over the world to join us to grow.